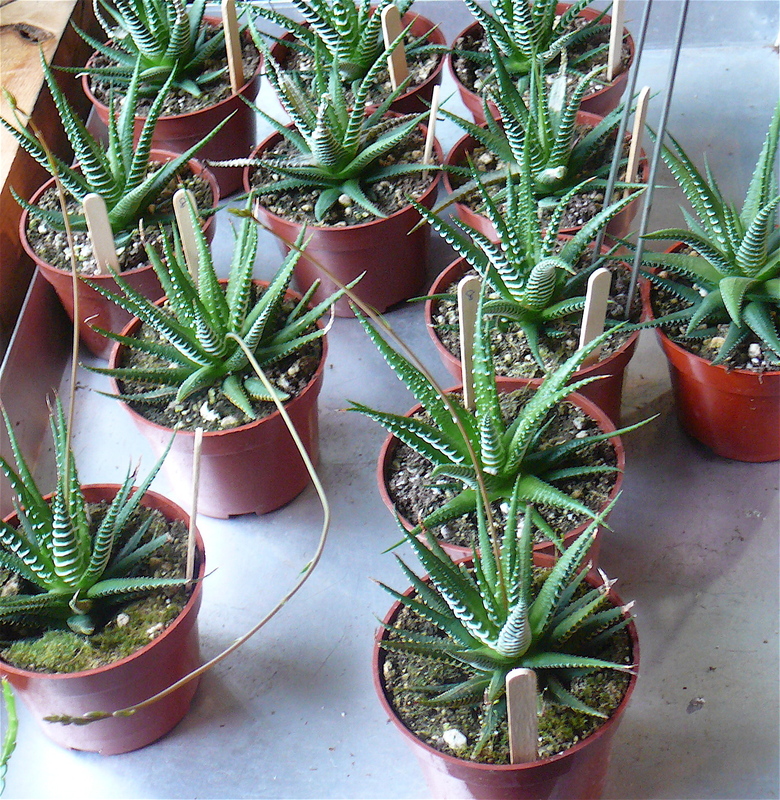 Haworthia attenuata is a GORGEOUS succulent, origins take it back to the Eastern Cape of South Africa at altitudes of 0 – 1000 m. The thick green leaves are characterized by rough, bright white stripes. This plant multiplies prolifically, and often with multiple varieties and cultivars. 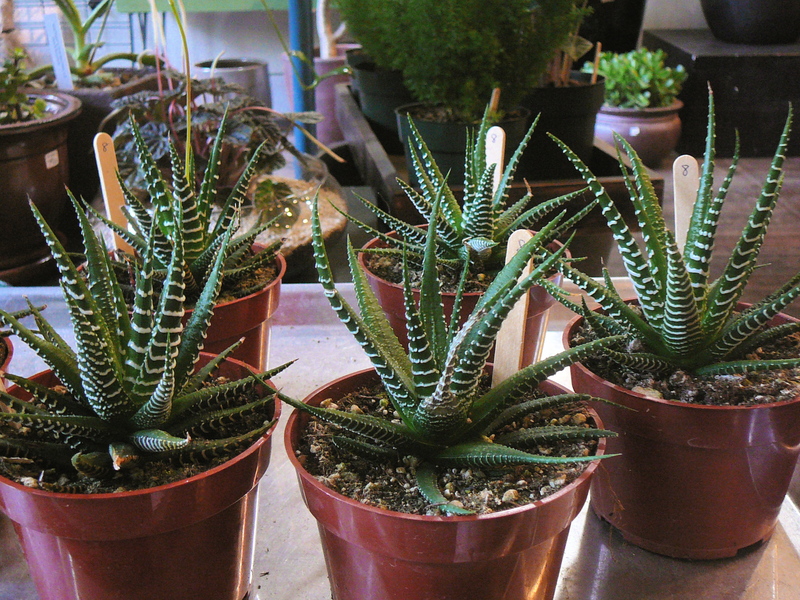 Lacking a stem, Haworthia attenuata matures into a striking cluster of spiky leaves of, quite possibly, varying colors and stripes. Height remains below 6 inches. Haworthias are incredibly resilient to neglect. When in question, opt not to water. Light: Partial shade/sun to Full Sun. The brighter the light, the deeper the shades of green. 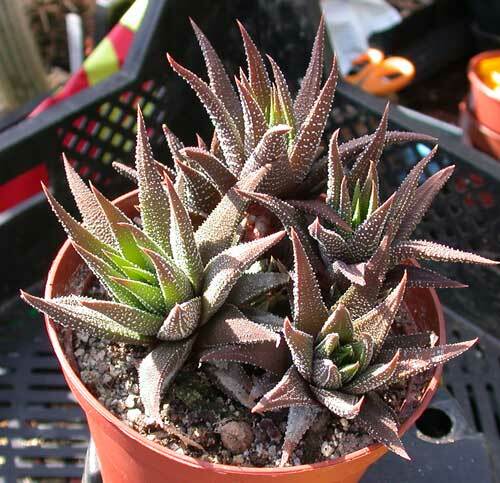 In full sun, the green in a Haworthia attenuata will turn an alternately beautiful reddish-purple. Water: Drought-tolerant but susceptible to overwatering. Let the soil dry before watering again. 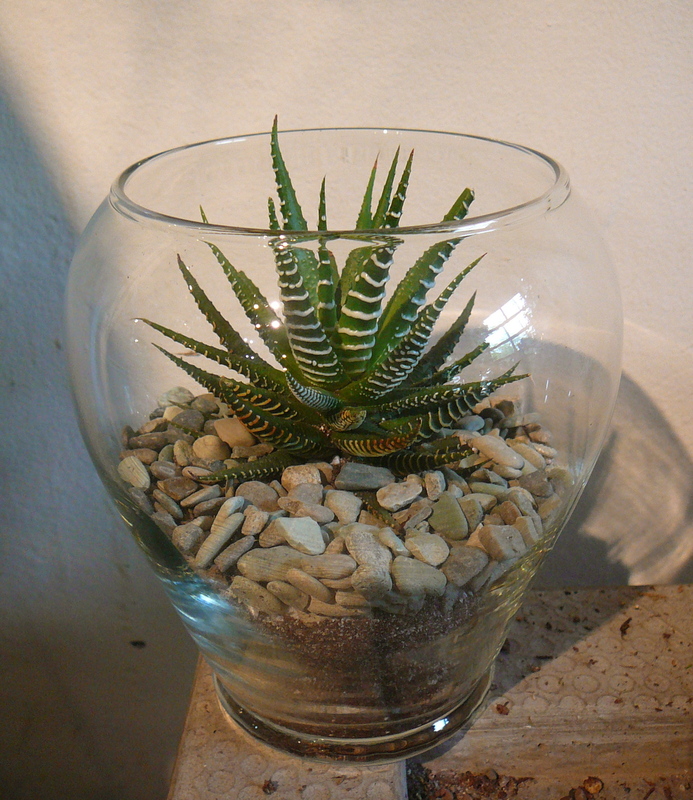 As mentioned above, when in question opt not to water Haworthia attenuata. This plant loves neglect!! Blooms: Late Winter/Mid Winter an antenna will emerge from the center with small white blooms. Snip off when bloom fades.